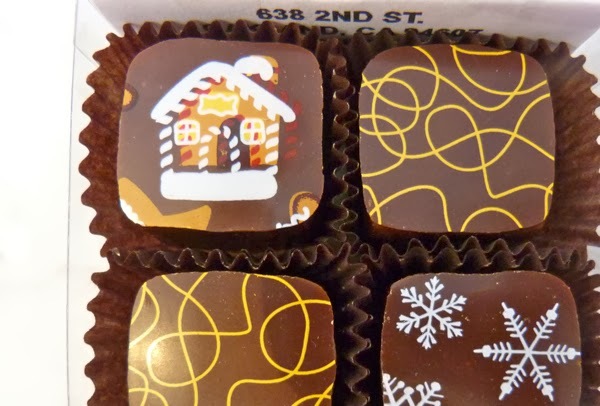 Welcome to bonus day (Day #8) of Chocolate and Holiday Spice Theme Week. The excitement of the holidays (we'll all need to crash and take a nap soon) has been fueled by sugar and spice and gingerbread this week. So, infused with the thought of more sweets, I skipped off to the local farmers market and bought vegetables, fruit, nuts, and chocolates. 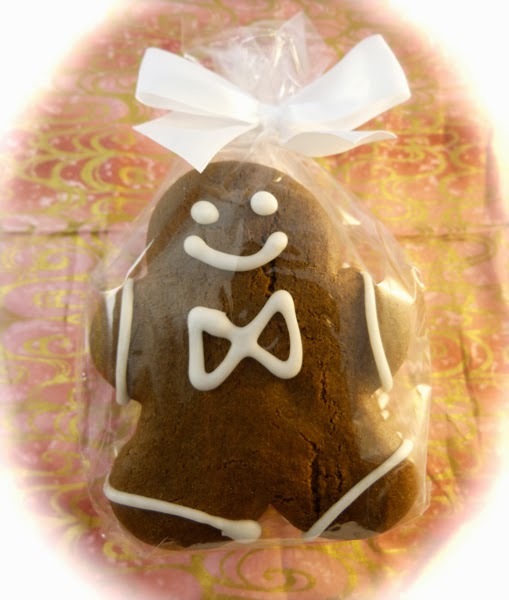 I enjoyed today's Gingerbread Truffle from Barlovento Chocolates (Oakland, CA), and had visions of gluten-free gingerbread men cookies (from Mariposa Baking Company, also based in Oakland, CA) dancing in my head. 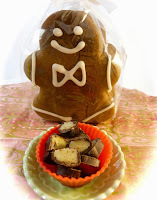 I wondered what gingerbread men ate for breakfast...A bowl of Gingerbread Truffles perhaps? Note: this seasonal item may not be available much longer.